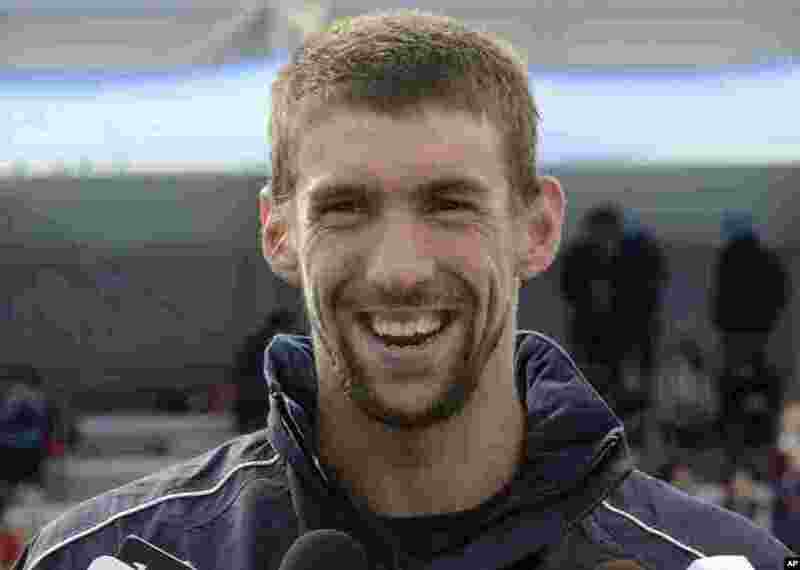 American swimmer Michael Phelps made history at the 2008 Beijing Olympics, becoming the first athlete to win eight gold medals at a single Olympic Games. He now has has his sights on the London Olympics hoping to add to his medal haul. 1 U.S. swimmer Michael Phelps talks to the media after his training at the Gold Coast Aquatic Center on the Gold Coast, Australia, July 15, 2011. 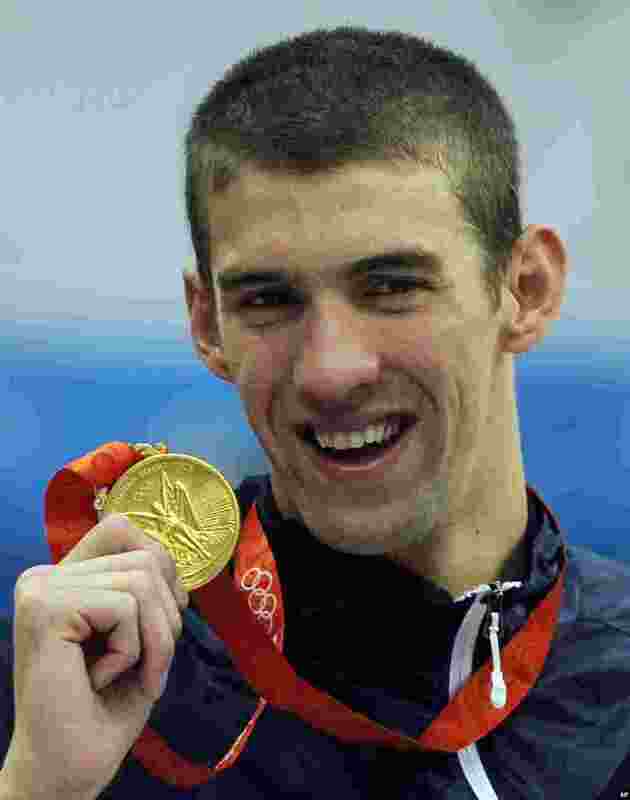 2 Michael Phelps displays his eighth gold medal after the men's 4x100-meter medley relay final at the Beijing 2008 Olympics in Beijing. 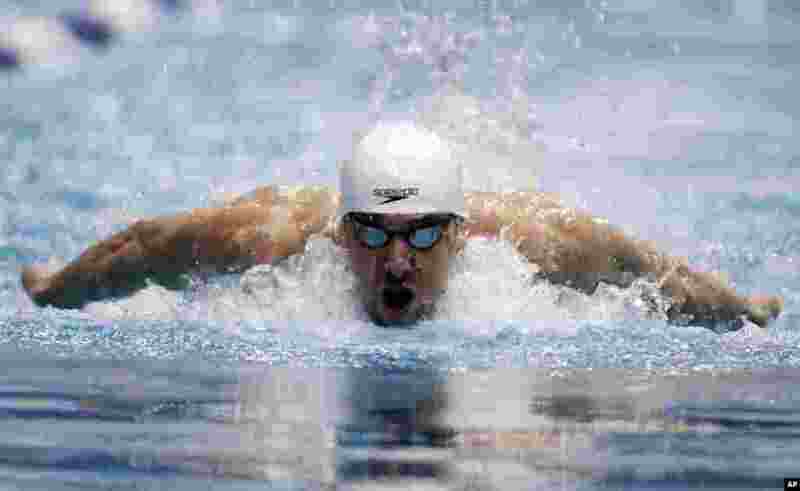 3 Michael Phelps competes in the 100-meter butterfly at the Indianapolis Grand Prix swimming meet in Indianapolis, March 29, 2012. 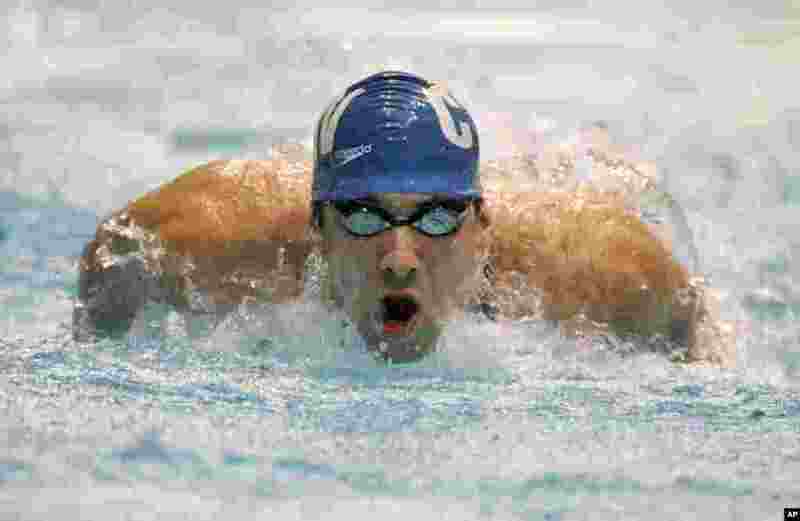 4 Swimmer Michael Phelps swims in the preliminaries of the 100-meter butterfly at the US Swimming Nationals in Indianapolis, August 2, 2007.